outdoor cafe shop and so on. 1. 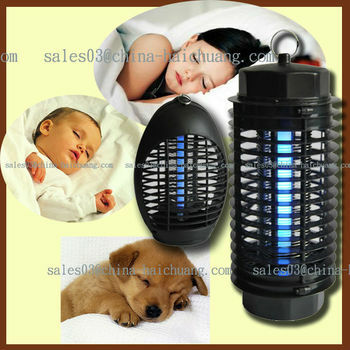 Indoor or outdoor use 6watt mosquito killer. 2. There is a 6watt UVA tube to attract insects, mosquitoes and flies. And internal grid voltage output 2200VDC to kill pests. 3. Available for living room, kitchen and small area use. 5. Package is 1pcs/gift box. Ningbo City Haichuang Electronic Co., Ltd.